[prMac.com] Melbourne, Australia - Crowd-sourced application compatibility site RoaringApps is ready for the release of Apple's macOS Sierra, once again compiling application compatibility information for the new operating system. RoaringApps developer Bryce Cameron said "more than one million macOS users have turned to RoaringApps in the past to help decide if their apps were ready for previous upgrades to Apple's desktop OS. The response to the site has been overwhelmingly positive, and we've come back this year to do it all over again". The crowd-sourced model used by RoaringApps allows all Mac users to report their experiences with the more than 6,000 applications in the database, providing a complete and up-to-date picture of application compatibility. 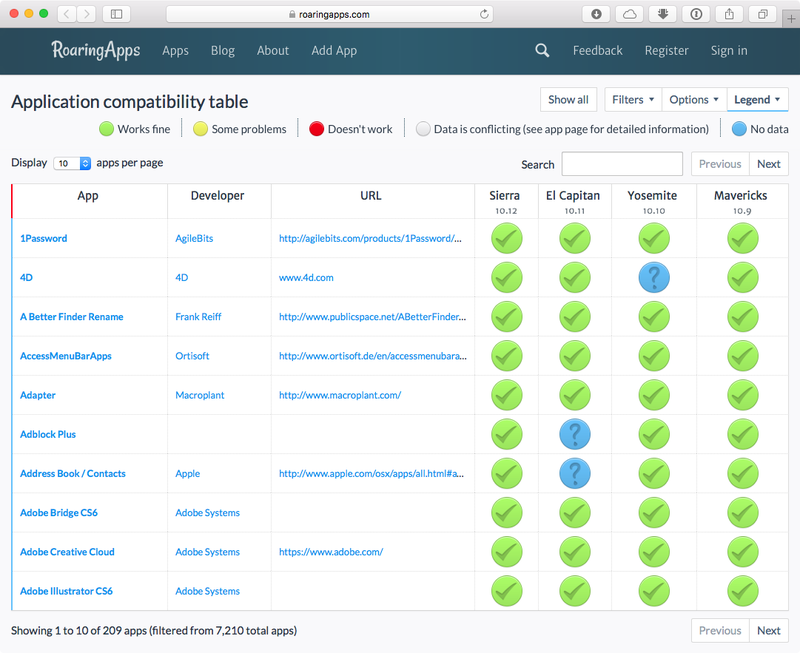 "RoaringApps is once again the go-to site for checking whether your apps are compatible with Apple's latest release, macOS Sierra", says Mr Cameron. "We help people make the decision about whether or not their Mac setup will work with the new OS", he added. Users are encouraged to share their experiences with whatever operating system they are running to help improve the reliability of information in the database. Application compatibility information is collected for versions of macOS from Snow Leopard (10.6) and from iOS 5 onwards. In addition to the compatibility table available on the RoaringApps website, this year sees the introduction of a compatibility-checker Mac application, currently in a beta release. 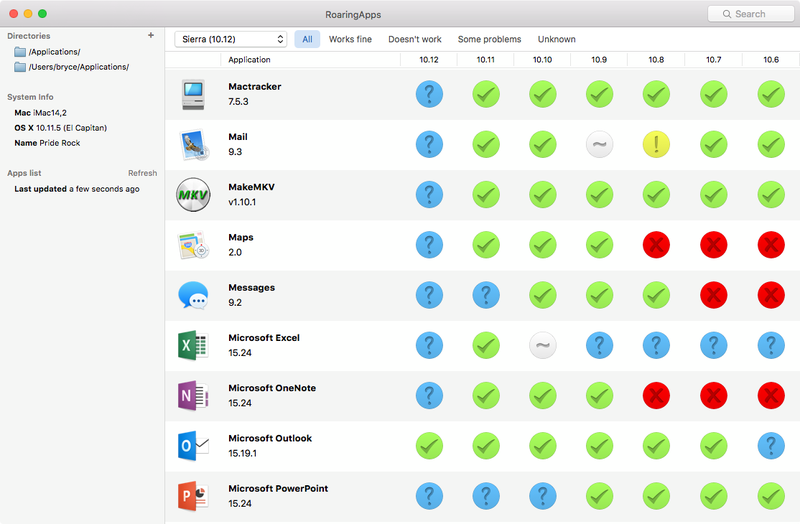 The RoaringApps Mac app locates installed applications and reports their compatibility with the various versions of macOS in a matter of minutes. Based out of Melbourne, Australia, RoaringApps was established in 2010 to provide application compatibility for OS X Lion. Now, the site has grown to accommodate compatibility information for multiple versions of Apple's macOS and iOS. With over 6,000 applications in the database, the site has proven to be an invaluable resource for Mac users preparing to upgrade their Mac or iOS device. All Material and Software (C) Copyright 2016 RoaringApps. All Rights Reserved. Apple, the Apple logo, Macintosh, macOS and iOS are registered trademarks of Apple Inc. in the U.S. and/or other countries. Other trademarks and registered trademarks may be the property of their respective owners.